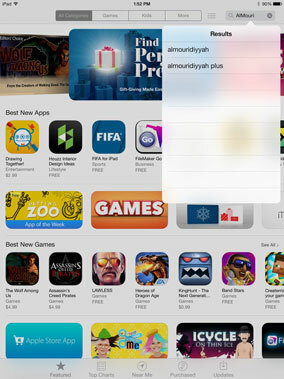 iPod, or iPad, press the App Store icon. 3. 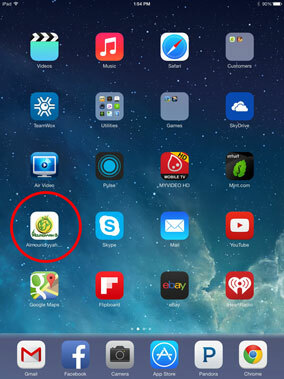 Be sure to specify "iPhone Only"
application. 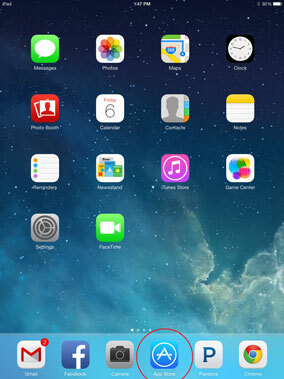 The application will still work on iPad devices. 4. 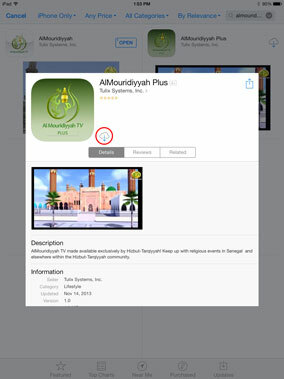 Select the "AlMouridiyyah Plus"
addthe application to your device. Plus icon and press on it to open it. & password to access the live streams. 7. 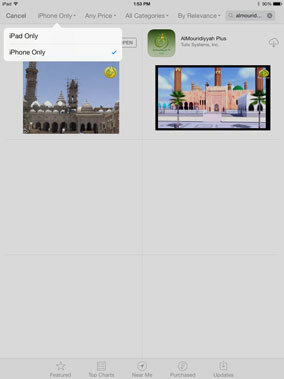 You will see a list of live channels. Select the one you want to watch.